The Collaborations Workshop 2013 turned out to be one of the hottest events of this cold spring. 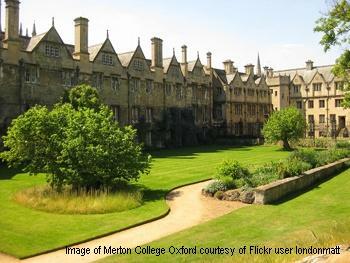 The Workshop took place in the Merton College in Oxford, between 21 and 22 March. 47 delegates discussed and worked together during the Collaborative Ideas session and 4 breakout sessions. They also gave 23 lightning talks. In the post-workshop survey 21 participants said that the workshop was useful and 23 that they enjoyed it. The outcomes of CW13 were a lot of inspirational ideas and suggestions. During each of the breakout sessions the delegates listed at least 5 important things for the particular topic, which added up to the total of 111 important things! They also came up with several recommendations for improvements and changes and made 17 pledges. The Collaborative Ideas competition was fierce as 19 ideas were submitted for the voting. A big thank you to all delegates for making the Collaborations Workshop 2013 one of the hottest events of this spring!